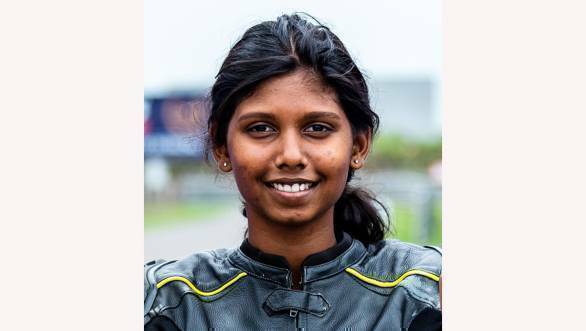 An incident-marred Saturday, July 7, started off proceedings as we got into the thick end of the second round of 2018 Indian National Motorcycle Racing Championship held at the Madras Motor Race Track in Chennai. The top-tier Super Sport Indian 165cc class saw Rajiv Sethu of Idemitsu Honda Ten10 Racing win a tense battle against defending champion Jagan Kumar (TVS Racing). In the Pro-Stock 165cc class held alongside this, Anish Shetty, the techie from Bengaluru, continue his strong form this season to notch up three wins in a row in this class. The race was reduced to four laps to six after a major crash caused Prashanth Kumar from Sparks Racing to be rushed to hospital in a critical condition. On the fourth day on Sunday, July 8, Rajiv Sethu held on to his winning streak in a repeat of what went down on Saturday. He came out in front of Jagan Kumar again. This now puts him in first place in the championship in this class. 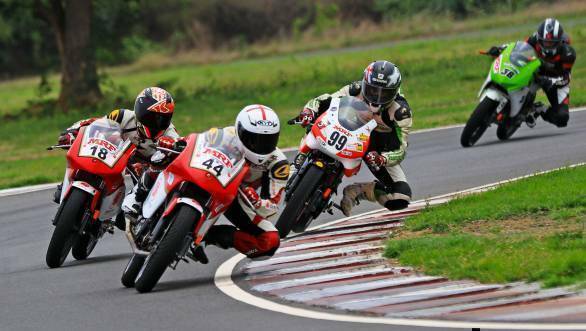 Naresh Babu of RACR came out in top of Anish Shetty in the Pro-Stock 165cc held that day. In the Girls category, Saturday's race saw Ann Jennifer of Sparks Racing win her second consecutive race. 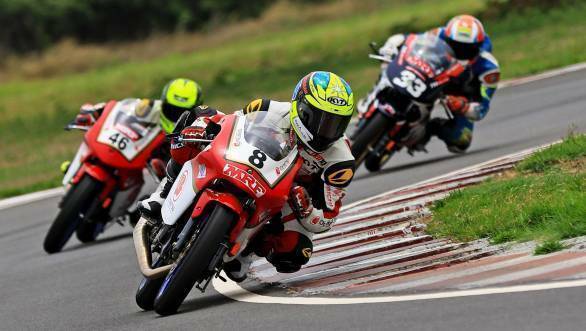 Idemitsu Honda India Talent Cup 2018 was also held on July 7, in which Anish Shetty carried on his good run, winning this event on both days. The day ended with the Girls Race of the TVS One-Make Championship with Ryhana Bee winning this race. Sadly, the event also saw a crash in which RC Czimkhy fell and was taken to the hospital with injuries. Scoring wins on Sunday were Kozhikode's Amarnath Menon who led a 1-2 finish for Gusto Racing in the Pro-Stock 301-400cc class. Karthik Mateti was at the head of a Sparks Racing podium sweep in the 165cc Novice category while also setting a lap record in this class. The INMRC will hold its third round between August 10 -12, also at the MMRT.